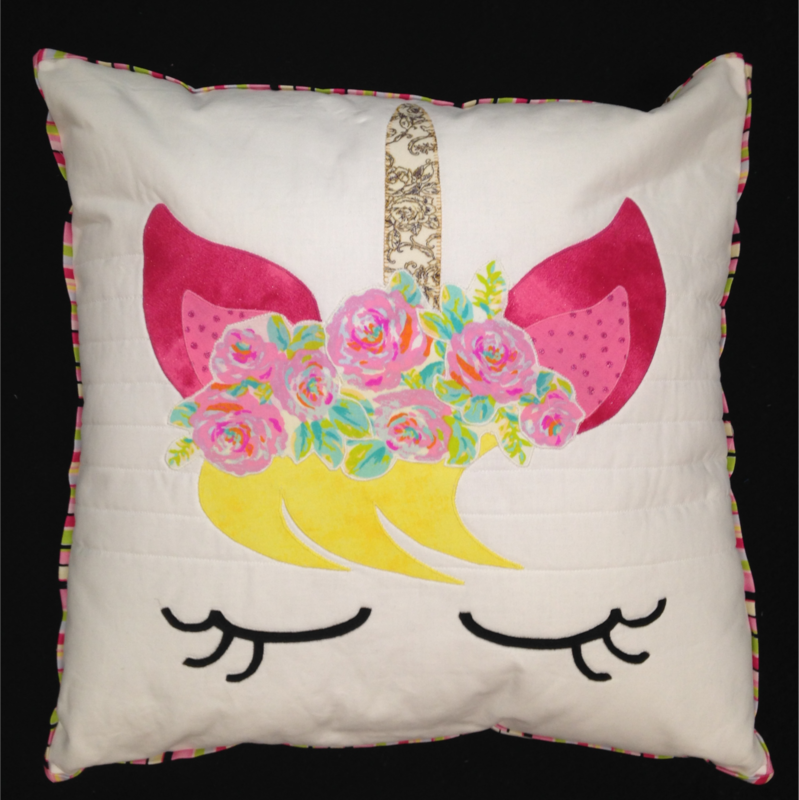 Decorate your bed with this soft and beautiful unicorn pillow. Grow your sewing skills by learning how to machine applique two ways. Machine quilt using a walking foot and practice those sewing skills you've learned, while making the pillow cover.